Description: An orange and black version of the Celtic Spiral Pirate. A Celtic spiral motif surrounds a pirate skull and crossbones. 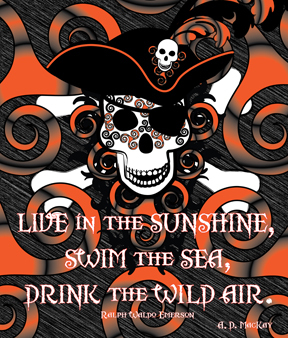 Ralph Waldo Emerson's words are in the forefront, revealing the inherent wisdom of pirates and those who long to be one.